Africanized Honey Bees (AHB’s) are here! 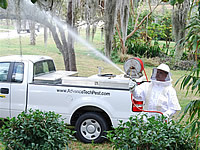 The bees the media describe as “killer bees” have recently been positively identified in several areas of Central Florida. Our subtropical climate favors their spread and establishment. These aggressive strains of honey bees can cause severe problems for people and pets that venture too close to their fiercely guarded nests. 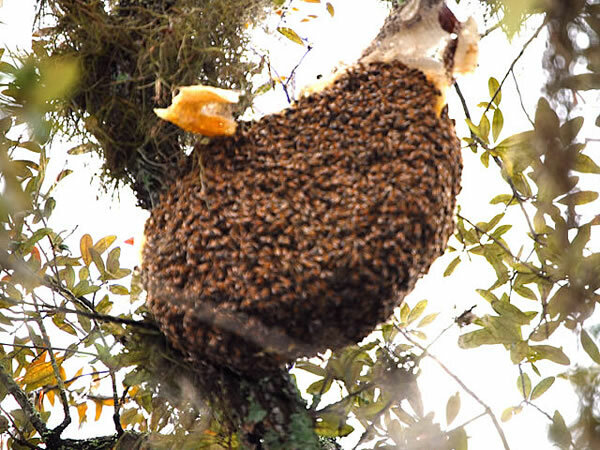 They vigorously defend their nests stinging any intruders. AHB’s respond in greater numbers than other honey bees, deliver more stings, and may chase “targets” for ¼ mile or longer. More than a thousand people have lost their lives as a result of Africanized honey bee stings. These bees are not a threat to be taken lightly. Please do not attempt to treat them on your own. Africanized killer bee control truly is a job for professionals. RUN, RUN, RUN. Keep children and pets away. Seek shelter in vehicles or buildings. 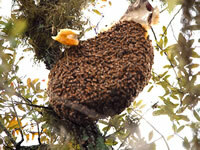 DO NOT attempt to control Africanized Honey Bees on your own. 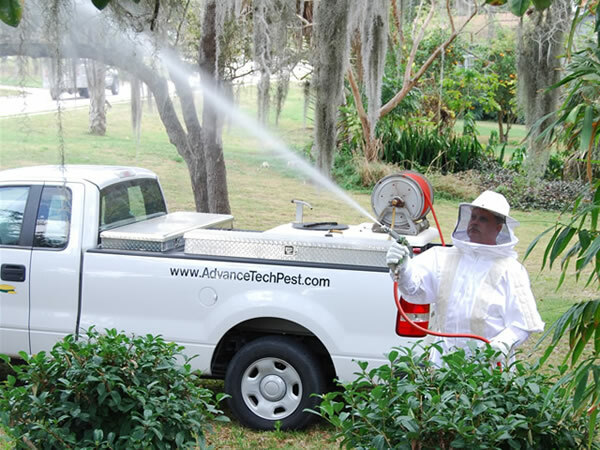 Africanized Honey Bees are extremely dangerous and require specialized training and protective equipment and products to be safely and effectively treated. Call us IMMEDIATELY for specialized control. Again, do not attempt to treat these bees yourself. Look at our guy in the picture. He's not taking any chances, and neither should you.